This post with Spring Cleaning: Age-Appropriate Chores For Kids has been sponsored by Kimberly-Clark and The Motherhood. All opinions are 100% my own. I can’t believe that spring is already here again. But, I’m glad it is as this is one of my favorite times of the year. I love how everything starts coming back to life, which in turn makes me get spring cleaning fever even though cleaning has never been one of my favorite things to do. I think one reason I don’t overly care for cleaning is because it’s not something I ever really learned as a kid. Sure, I eventually taught myself how to use the vacuum, mop the floor, and do my own laundry, but I was never really taught the best way to clean the bathroom and kitchen, or how appliances should be deep cleaned, etc. I’m so thankful to live in the age of Google so I can ask any cleaning question and get an answer in seconds! Anyway, because of this, I think it’s super important kids get involved in cleaning at an early age so I wanted to share some age-appropriate chores for kids with a focus on spring cleaning today. 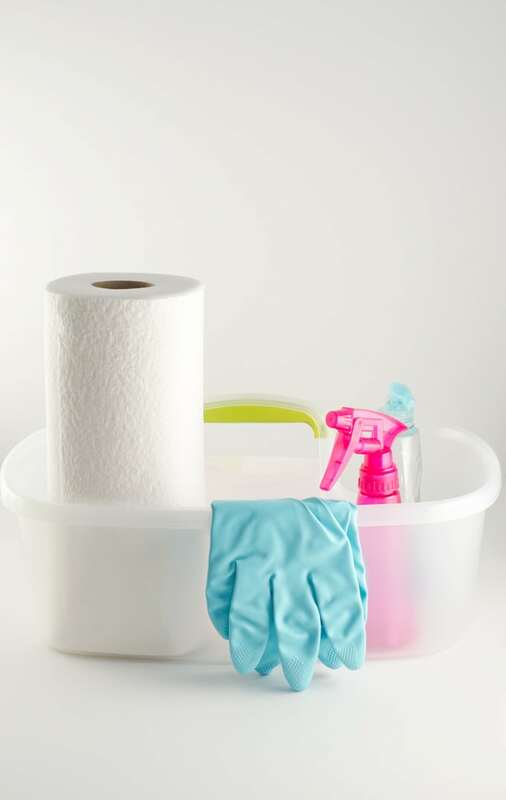 Tip: Having the cleaning supplies ready to go in an easy to carry caddy helps kids stay focused on the task and be ready to clean. We all hope that our kids will be super successful and make enough money to live more than comfortably, perhaps even comfortable enough to afford a housekeeper. But, in case they don’t, or just want to save that money for other things, it’s important they start learning to clean now. Starting at an early age will help cleaning become a lifelong habit for a safe and healthy home. It also helps kids understand that there isn’t a magical cleaning fairy that comes in overnight to clean up after them. It also gives them a sense of responsibility by being in charge of something, all while learning the value of hard work and contributing to a household. Just remember to be patient and positive as kids will likely take some time to learn to clean to your normal standards. While it’s important to teach kids how to clean, we also need to remember that it’s important that they learn cleaning safety. Some cleaning solutions can be toxic, especially when mixed together, while products like vacuums may take a little practice to learn to use properly. Here are some safe products to have on hand while helping your kids learn to clean. Tip: Kids love things that are just for them, and even more so if it’s personalized. 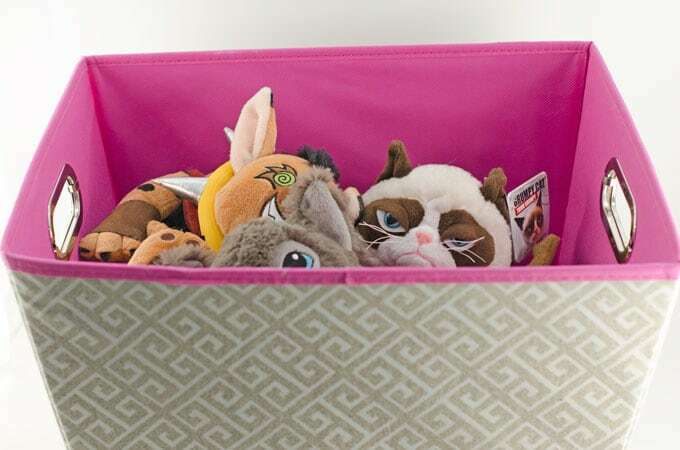 Having bright, colorful bins with their name on them just might help motivate them to put toys and books away. 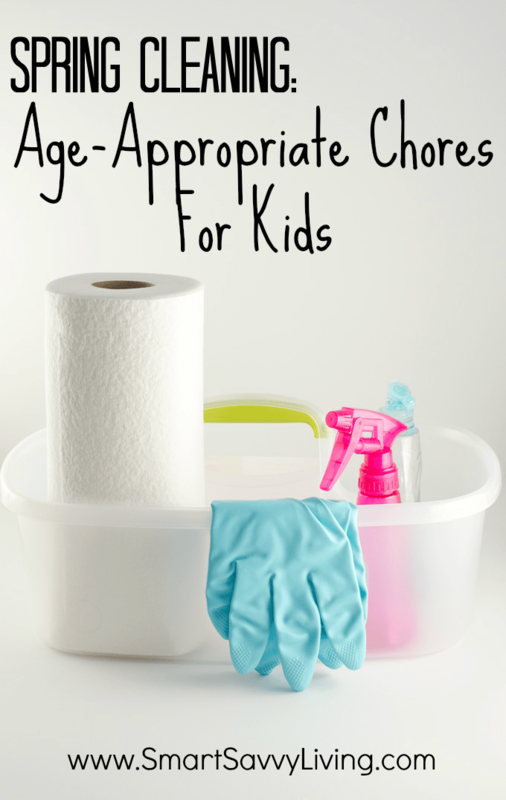 Here are some spring cleaning chore ideas for kids based on their general age. Keep in mind the maturity and abilities of your children before assigning chores they can safely complete. You know your kids best! Tip: Viva® Vantage has a scrubby texture similar to terry cloth that’s great to use on grimy surfaces like stovetops and outdoor furniture. Plus, it comes in 6 and 12-roll packs so you have plenty for spring cleaning. 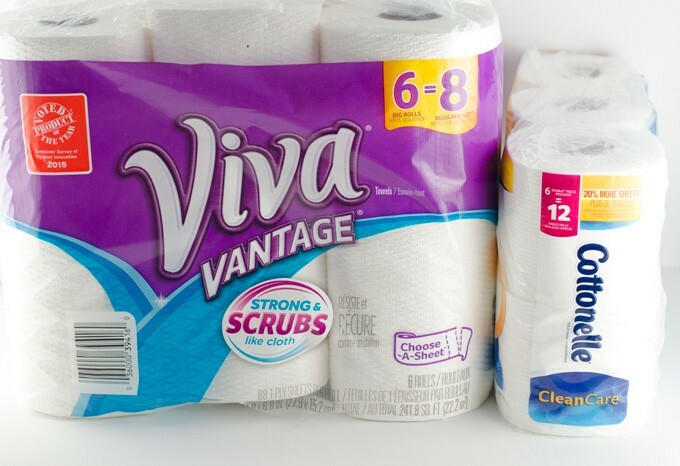 Kimberly-Clark offers a variety of products for the whole family to use for Spring Cleaning and all year long like Viva®, Cottonelle, and Scott products. Be sure to visit your local Walmart to find some great deals! 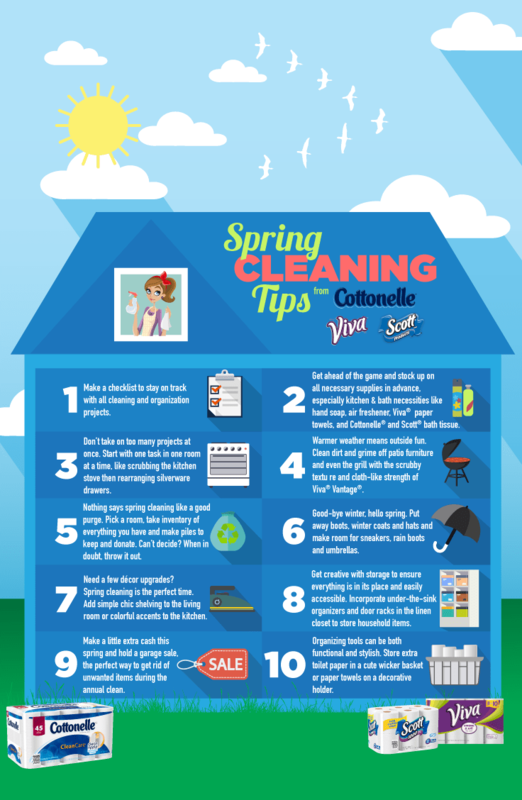 What are some ways you have your kids get involved with spring cleaning?